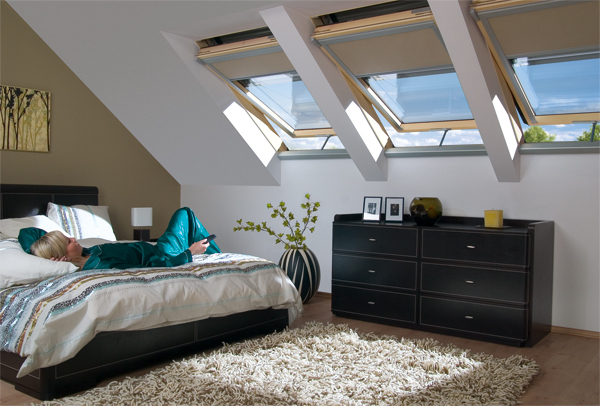 Window with factory equipped remotely controlled devices (control unit, motor and transformer) which are opening and closing the window as well as accessories by the use of remote control. 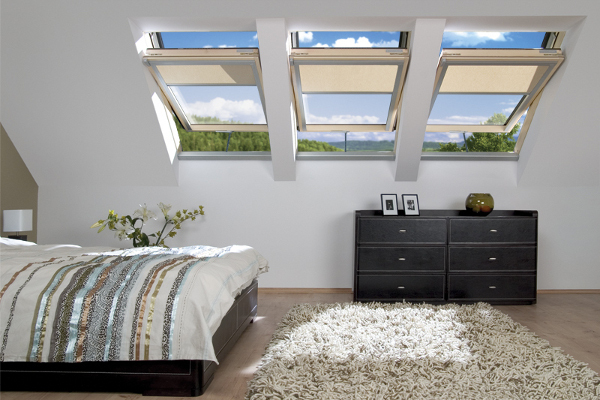 Equipped with a rain sensor, which automatically activates sash opening function during the rain. It has connectors on frame to allow easy fitting of electrical accessories and can be easely connected to 230V mains. 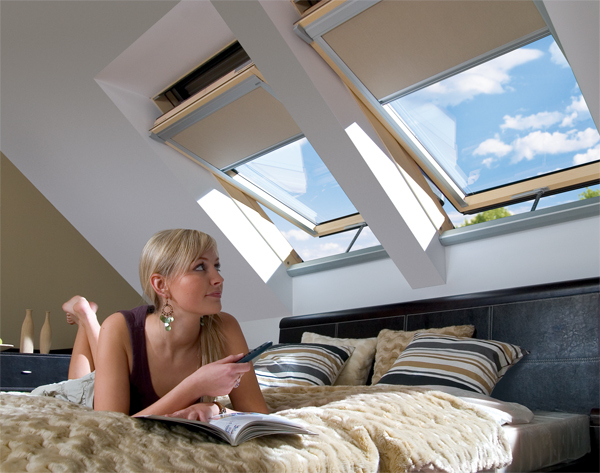 It has an automatic air-inlet V40P providing an optimum amount of air into the room V40P air-inlet ensures a healthy microclimate in the attic. The 90 degrees handle turn disconnects the sash from motor. 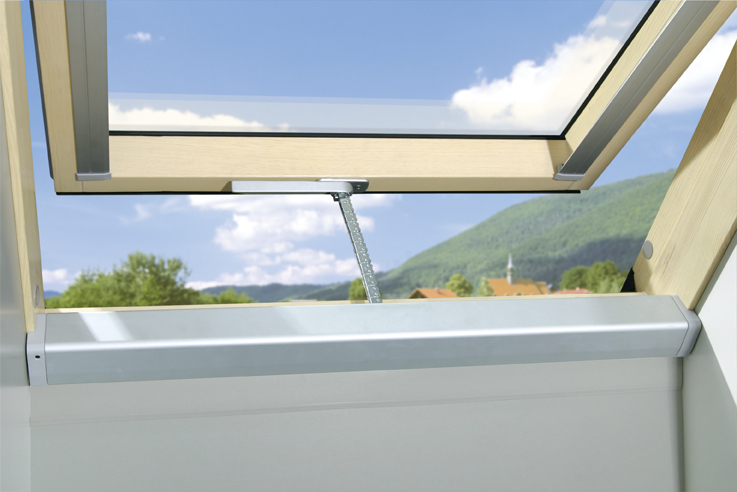 Easy cleaning of outer pane and easy awning blind installation- thanks to the bolt blocking the sash rotated through 180 degrees.